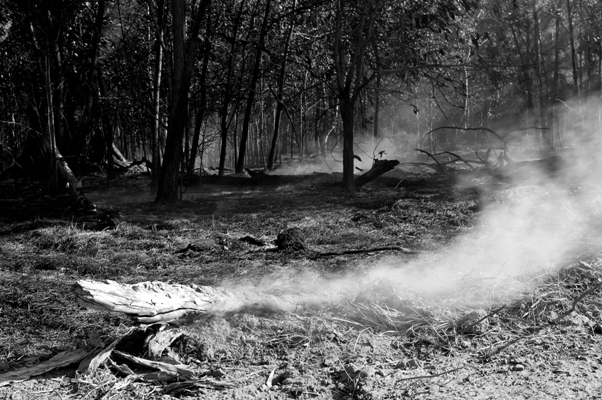 I went into a bush fire and shot this smoke drifting across in the forground. The cops turned up and were a little concerned about me being there on my own. Being a chick and all! !